Delhi Capitals and Sunrisers Hyderabad’s participation in the IPL Players Auction was as different as chalk and cheese. The former had to be busy through the evening while Sunrisers Hyderabad sat back after picking up two international wicket-keeper-batsmen until the lot of unsold players came by. Delhi Capitals spent Rs 11.4 crore in securing two of the eight most expensive buys in the auction while the Sunrisers, safe with nearly the entire set of players who took them to the final last season, spent just Rs 4.4 crore with a very focused and limited shopping plan. That entailed picking up just three players on a day that saw eight teams spend Rs 106.80 crore on 60 players. The eight teams left Rs 38.45 crore unspent from the Rs 656 crore combined salary cap for 2019. It represents a mere less than six per cent of the salary cap imposed by the IPL Governing Council. It is the kind of money that could help fund many young athletes, aspiring to bring glory at the Olympics Games, secure the right training. And we are talking only about the unspent amount. Let us not digress any further from looking at how the two teams used the auction to prepare for the coming season. Sunrisers Hyderabad has established itself as one of the most consistent sides in the league with three successive appearances in the play-off stage, including a win in 2016 and a runner-up finish last season. It has the armoury to make it four in a row. 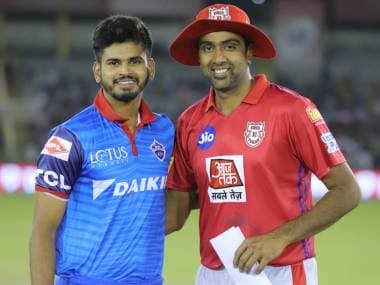 Delhi Capitals, having renamed themselves as such, will be hoping to leave behind the nightmare seasons that Delhi Daredevils have had since making it past the league stage way back in 2012. They have assembled a competitive squad but one that needs to perform to potential consistently to be able to achieve their best finish in seven seasons. With a settled top-order and a quality attack, it just needed a middle-order batsman, a left-arm spinner and some backup options to make it a more competitive unit. The addition of South African batsman Colin Ingram (for Rs 6.4 crore) and left-arm spin bowling all-rounder Axar Patel (Rs 5 crore) has plugged crucial gaps. The addition of Indian Test cricketers, batsman Hanuma Vihari (Rs 2 crore) and paceman Ishant Sharma (Rs 1.10 crore) will give the team selectors solid options when picking the XI. Young West Indian strokeplayer Sherfane Rutherford (Rs 2 crore) and all-rounder Keemo Paul (Rs 50 lakh), as well as four Indian picks, Jalaj Saxena, Nathu Singh, Bandaru Ayyappa and wicket-keeper Ankush Bains, have been picked as back up players. They have committed Rs 17.8 crore in adding 10 players to their squad and laying the ball clearly in coach Ricky Ponting’s court. How Australia’s most successful captain now moulds the team, finds the right XI to play each game and inspires them to deliver winning performances consistently can make for an interesting watch. His abilities will be tested from the time the team assembles ahead of the season. The role that he defines each player will determine the side’s ability to make it to the play-off stage after a long gap of seven seasons. His man-management skills, especially in getting the best out of the batting line-up, studded with stroke-players, and helping the bowlers to deliver the goods will be in focus. Delhi Capitals possible first XI: Prithvi Shaw, Shikhar Dhawan, Shreyas Iyer, Rishab Pant, Colin Ingram, Chris Morris, Axar Patel, Kagiso Rabada, Amit Mishra, Trent Boult and Avesh Khan/Ishant Sharma. All-rounders: Sherfane Rutherford, Keemo Paul and Jalaj Saxena. Spin bowlers: Sandeep Lamicchane, Jayant Yadav and Rahul Tewatia. Fast bowlers: Harshal Patel and Nathu Singh. As for the Sunrisers Hyderabad, they went to the auction room with the clear purpose of adding a senior wicket-keeper to the squad since they had retained Sreevats Goswami as their only stumper. They first picked up England’s Jonny Bairstow and then did well to regain Wriddhiman Saha at nearly one-fifth the price they paid last season. 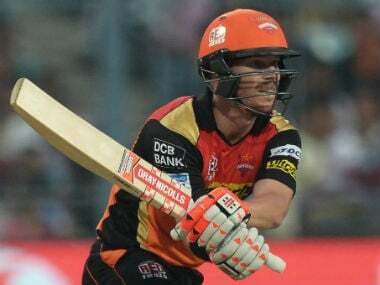 Having traded Shikhar Dhawan to Delhi Capitals, and with some uncertainty hanging over David Warner’s availability through the 2019 season, Sunrisers Hyderabad realised at the break that they may have missed adding a reliable opening batsman to the squad. So they picked up New Zealand’s Martin Guptill at his base price of Rs 1 crore as soon as the bag of unsold players was opened. The vagaries of the 2019 season – some of it imposed by India’s General Elections and some by Australian and English players’ availability through the whole league – could well see Sunrisers Hyderabad having to juggle their batting order around a bit. They may still need to find an opener or two should Warner not be around through the season. How coach Tom Moody cracks this likely conundrum may well have an impact on the pressure on the middle-order batsmen like Kane Williamson and Manish Pandey and all-rounders Shakib Al Hasan and Yusuf Pathan. 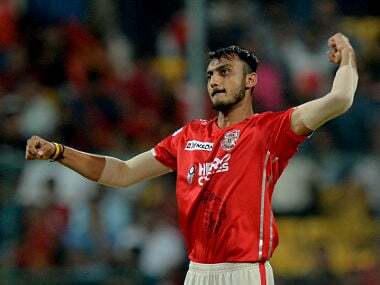 With an attack that includes Bhuvneshwar Kumar, Siddharth Kaul, Sandeep Sharma and Afghanistan leg-spinner Rashid Khan, the other bases are pretty well covered. Possible first XI: David Warner/Martin Guptill, Wriddhiman Saha, Kane Williamson, Manish Pandey, Shakib Al Hasan, Yusuf Pathan, Vijay Shankar/Deepak Hooda, Rashid Khan, Bhuvneshwar Kumar, Siddharth Kaul and Sandeep Sharma/Syed Khaleel Ahmed. Wicketkeeper batsmen: Johny Bairstow and Sreevats Goswami. All-rounders: Ricky Bhui and Abhishek Sharma. Fast-medium bowlers: Billy Stanlake, Mohammad Nabi, Basil Thampi and T Natarajan. It would be a surprise if Sunrisers Hyderabad do not take a place in the top four at the end of the league while Delhi Capitals, with their sound strategy at the auction table, gave themselves the chance to get things back on the rails by putting together an exciting and competitive squad for the season.